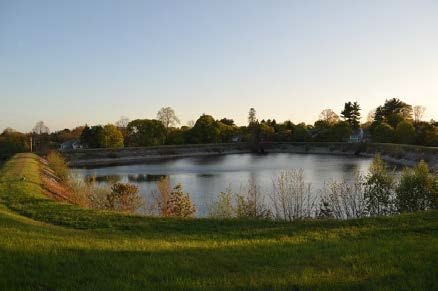 In 2014 and into 2015, Lisle worked to obtain the approval of the City of Newton to purchase the Waban Hill Reservoir, which will be preserved as open space for the City. Read the update on the Waban Hill Reservoir sent to interested residents by Lisle, Alderman Ruthanne Fuller, and Alderman Marc Laredo. 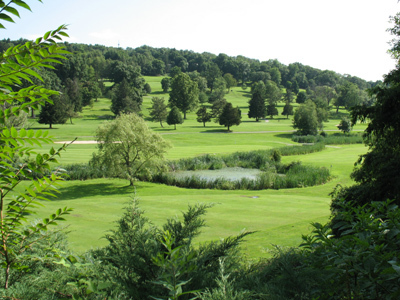 In May of 2009 Lisle was honored by the Newton Conservators at their 2009 annual dinner, with the following citation: "The Directors Award for 2009 goes to Alderman Lisle Baker, for his vision and leadership in recognizing the opportunity for guiding the acceptance of a Conservation Restriction that permanently protects Newton Commonwealth Golf Course as open space for the enjoyment of Newton Residents." In 1982, the Conservators had named him Environmentalist of the Year for his work in helping Newton initially acquire the golf course for public recreation. The Newton Commonwealth Golf Course looking south from the Kenrick Street entrance. Lisle with golfer at the Newton Commonwealth Golf Course. 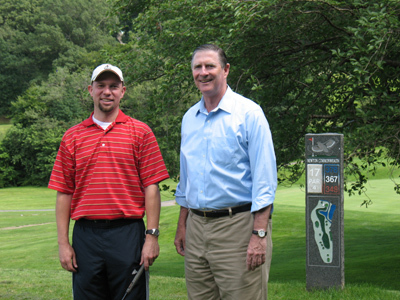 Lisle with two golfers at the Newton Commonwealth Golf Course. 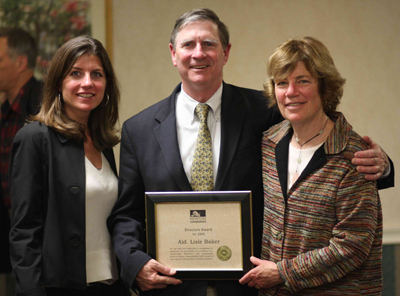 Lisle with his wife Sally and daughter, Mary Sarah with his Directors' Award from the Newton Conservators in 2009.